Award Year: 2001 There are wide disparities in the treatment of pain, and options for managing it have long been entangled with ideological debates over addiction and dependence. Dr. Wailoo will analyze and describe the complex evolution of pain policy and management practices as well as the principles underlying pain management in America since World War II. 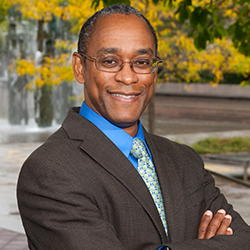 Using historical and sociological methods, he will examine increasing disparities in pain recognition and treatment by race, age, gender, class, disease, and region. The project will document the diverse ways in which cultural values have shaped the manner in which pain is understood and managed. It will trace the evolution of disparities in assessment and treatment and address why pain management has differed by community, clinic, state, and region. The roles of key policymakers (politicians, pharmaceutical companies, medical specialists, courts, and patient advocates) will also be assessed. Keith A. Wailoo is the Townsend Martin Professor of History and Public Affairs and is jointly appointed to Princeton University's Department of History and Woodrow Wilson School of Public and International Affairs. He is the former vice dean of the Woodrow Wilson School. Previously, he served on the faculty at Rutgers for nine years and was named the Martin Luther King, Jr. Professor of History in 2006. Before joining Rutgers, Dr. Wailoo was a member of the faculty of social medicine and history at the University of North Carolina at Chapel Hill. He is author of several award-winning books examining how patterns of disease change over time in America, and focusing especially on the ways in which scientific and technological understandings have interacted with health care politics, racial and ethnic relations, and cultural politics to inform responses to disease in the 20th century and into the 21st century. Among them are: Dying in the City of the Blues: Sickle Cell Anemia and the Politics of Race and Health; Drawing Blood: Technology and Disease Identity in Twentieth Century America; The Troubled Dream of Genetic Medicine: Ethnicity and Innovation in Tay-Sachs, Cystic Fibrosis, and Sickle Cell Disease (co-authored); and A Death Retold: Jesica Santillan, The Bungled Transplant, and Paradoxes of Medical Citizenship (co-edited). In 1999, Professor Wailoo received the prestigious James S. McDonnell Centennial Fellowship in the History of Science, a $1,000,000 multi-year award to examine the history of cancer, immunology, genetics, and pain in 20th century society. The McDonnell Foundation Fellowship has supported many of his research projects which explore the intersections between understandings of disease in biomedicine, in clinical practice, and in culture. Professor Wailoo?s research has also been supported by grants from the National Science Foundation, the National Center for Human Genome Research (Ethical, Legal, and Social Issues Program), and the Burroughs Wellcome Fund. Professor Wailoo was elected to the Institute of Medicine in 2007. He received his Ph.D. in 1992 from the University of Pennsylvania. He is a member of the National Advisory Committee of the Investigator Awards in Health Policy Research program. Wailoo, K. Stigma, Race, and Disease in 20th Century America. Lancet, 2006, 367(9509): 531-3. Wailoo, K., Jost, T.S., Schlesinger, M. Professional Sovereignty in a Changing Health Care System: Reflections on Paul Starr's The Social Transformation of American Medicine. JHPPL, 2004, 29(4-5): 557-68. Wailoo, K. Sovereignty and Science: Revisiting the Role of Science in the Construction and Erosion of Medical Dominance. JHPPL, 2004, 29(4-5): 643-59. Wailoo, K., Livingston, J., Guarnaccia, P. (eds.). A Death Retold: Jesica Santillan, the Bungled Transplant, and Paradoxes of Medical Citizenship. Chapel Hill: University of North Carolina Press, 2006. Schlesinger, M., Jost, T., Wailoo, K. (eds.) Transforming American Medicine. JHPPL Special Issue, Vol. 29 (405), Duke University Press, 2004.